Better get comfortable for the ride from our Mtito Andei office to Kylungwa Primary School in the neighboring county; it takes six hours to travel that 335 kilometers! 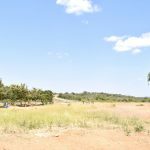 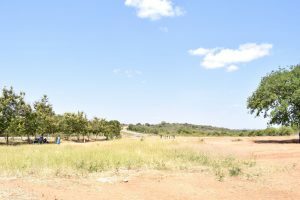 It was certainly a rural and peaceful area at the time of our visit, dotted with green thanks to recent rains. However, it looks like a desert during the other seasons that pass without rainfall. 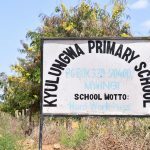 The school started in 1978 to serve the children growing up in Kambusya Village. 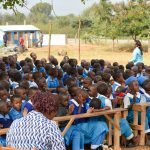 It was the full initiative of parents and community leaders and was later taken up by the District Education Board. 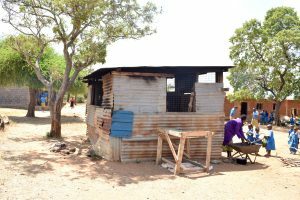 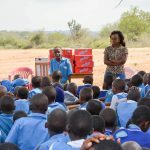 It currently has no sponsor, so it’s supported by the parents and the Constituency Development Fund, a government program that allows communities to fund local projects like schools and health clinics. 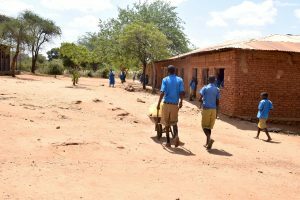 Students leave home early to arrive at school by 7am, when they’re required to group up and complete different chores before morning assembly. 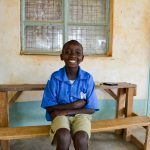 Normal lessons begin at 8am, when students get to learn social studies, English, Swahili, science, religion, mathematics, and art. Lunch is cooked on school grounds. 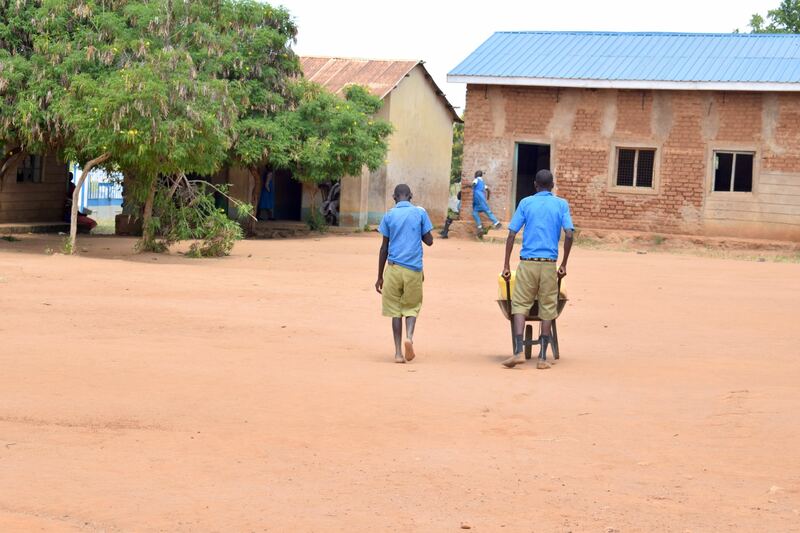 There are afternoon classes, and then two hours of clubs and sports before students are dismissed at 5pm. 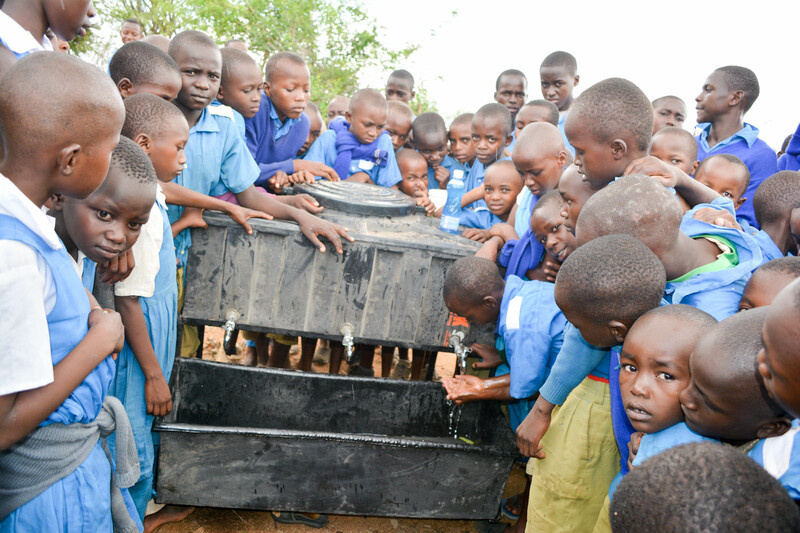 Looking around school grounds, you’ll see a handful of water structures. 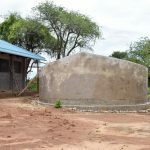 There is a large cement tank that was built by an organization in the 1980s. 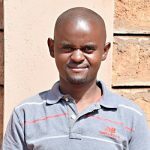 Unfortunately, the quality of the work could not withstand the test of time, and it became dysfunctional. 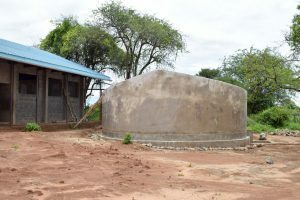 When these cement tanks cease to collect and hold water, they are often converted for other uses such as storage – or they even convert them into a kitchen. 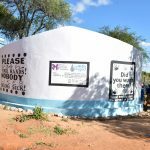 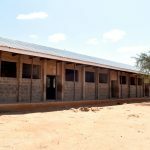 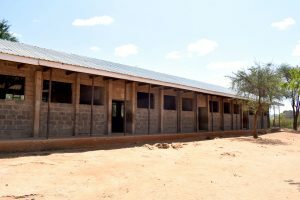 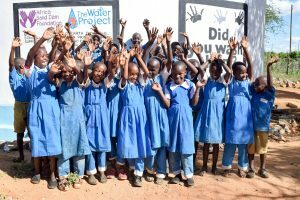 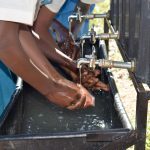 Since then, the school has installed a tap that’s connected to the Tana and Athi River Development Authority. 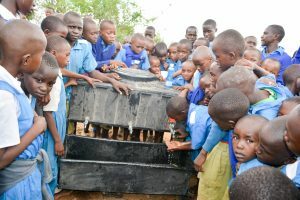 While this connection has helped the school make great progress in addressing water scarcity, it costs money and still isn’t always there when they need it. 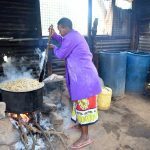 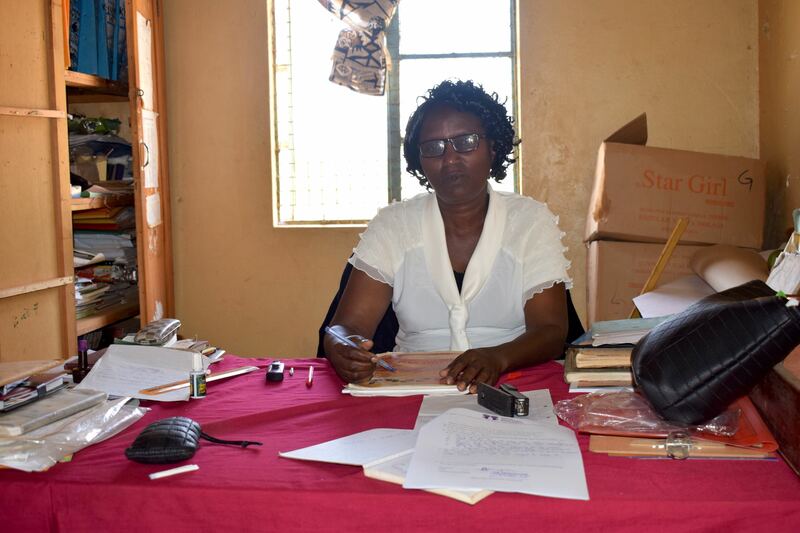 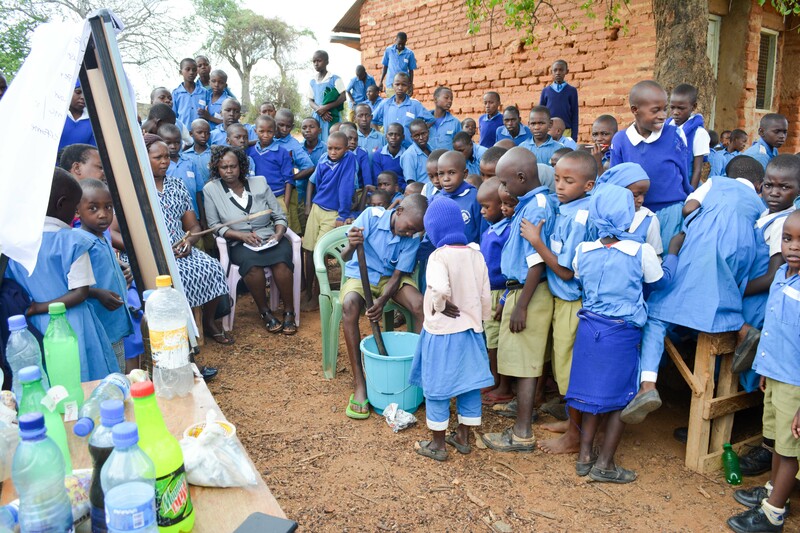 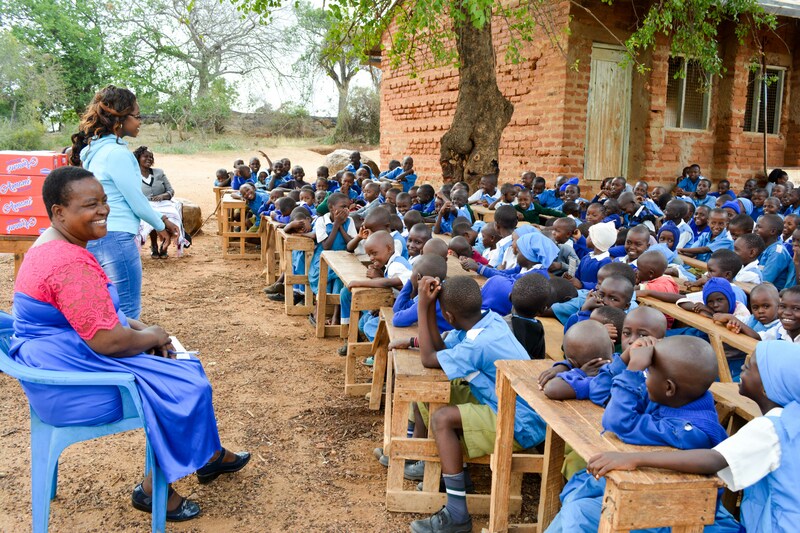 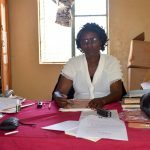 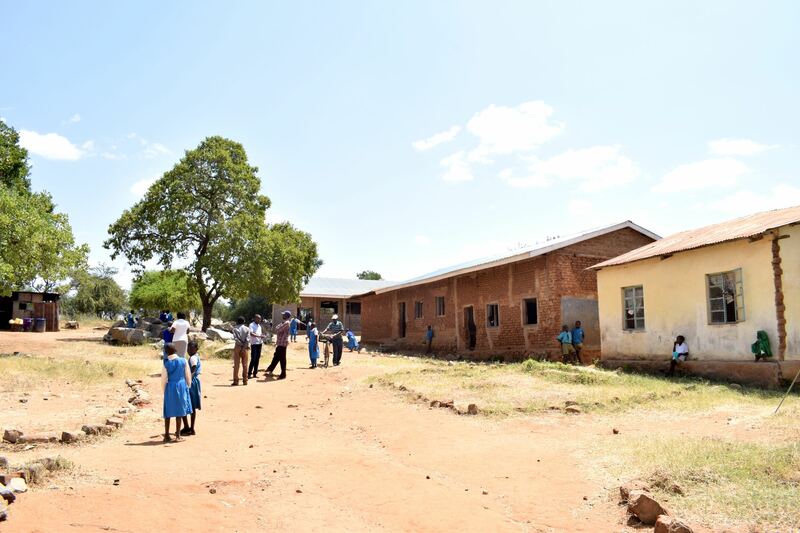 “During the dry season, the pipeline dries out and this affects the school routine because the school feeding program stops,” Headteacher Scholastica Muinde told us. 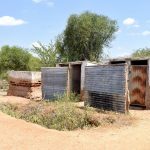 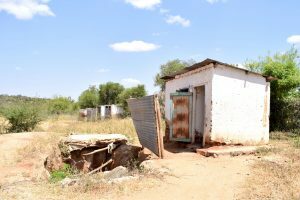 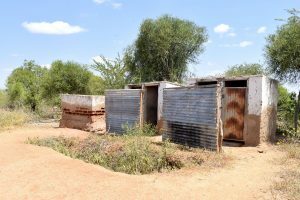 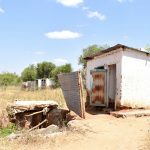 The latrines are in poor condition and dirty since they aren’t washed as regularly as they should be. 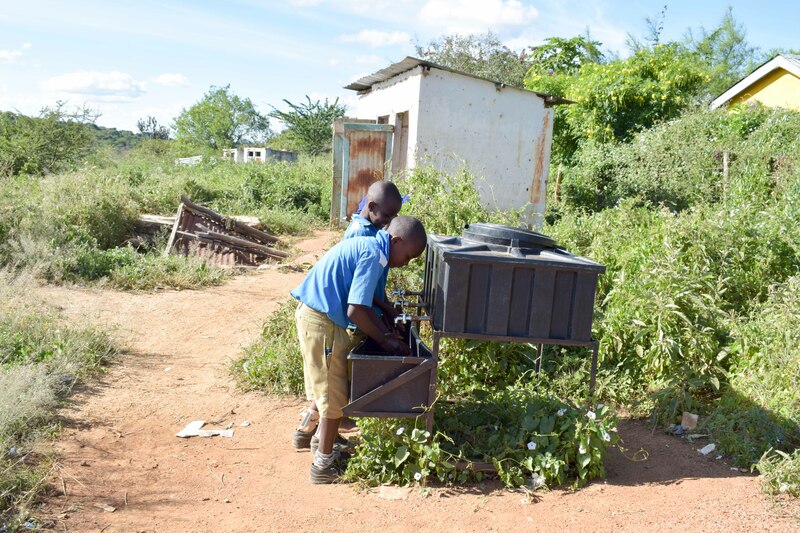 There is no place for students to wash hands after they finish using the latrines. The kitchen is a temporary structure without much counter space to store utensils. It’s obvious that a positive effort has been made to keep a clean environment, but the school lacks the tools and water needed to further improve. A garbage pit has been dug where litter is thrown. 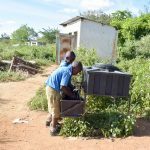 This keeps garbage from blowing back around campus. 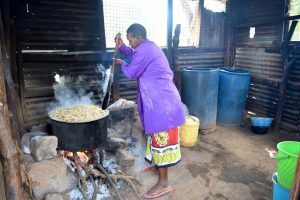 It is burnt when the pile gets too high. 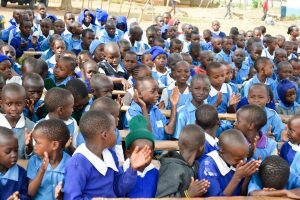 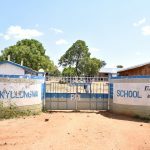 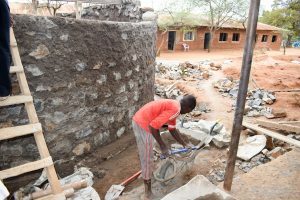 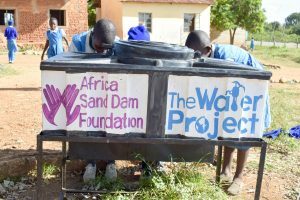 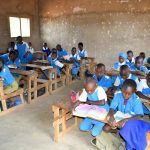 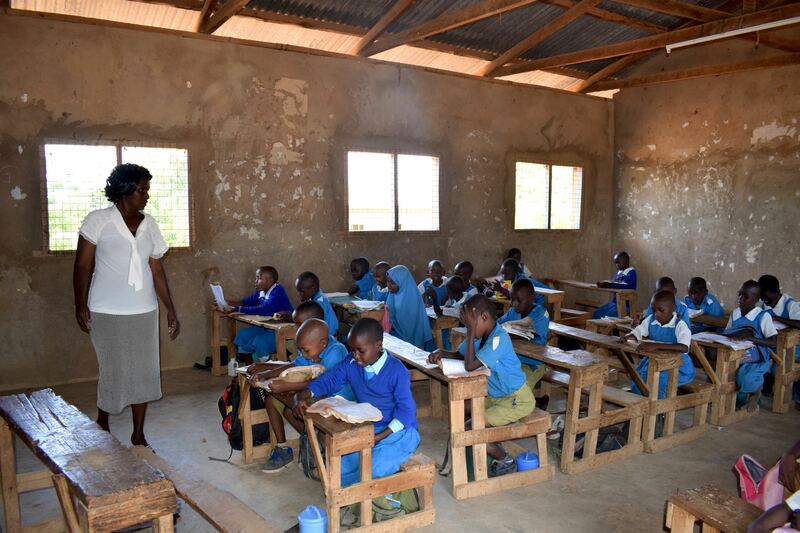 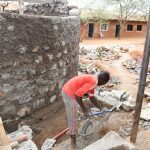 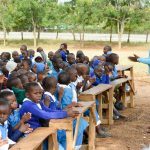 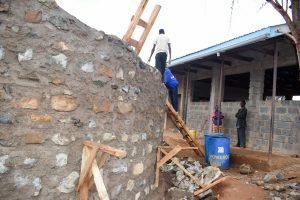 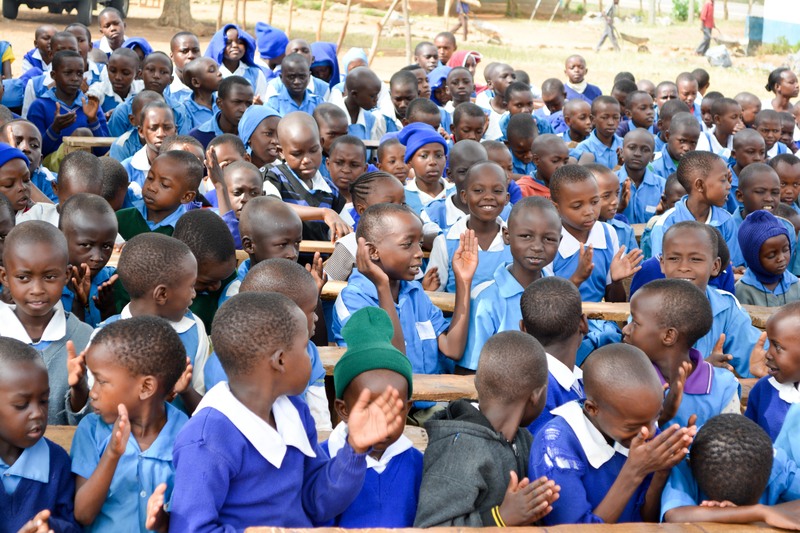 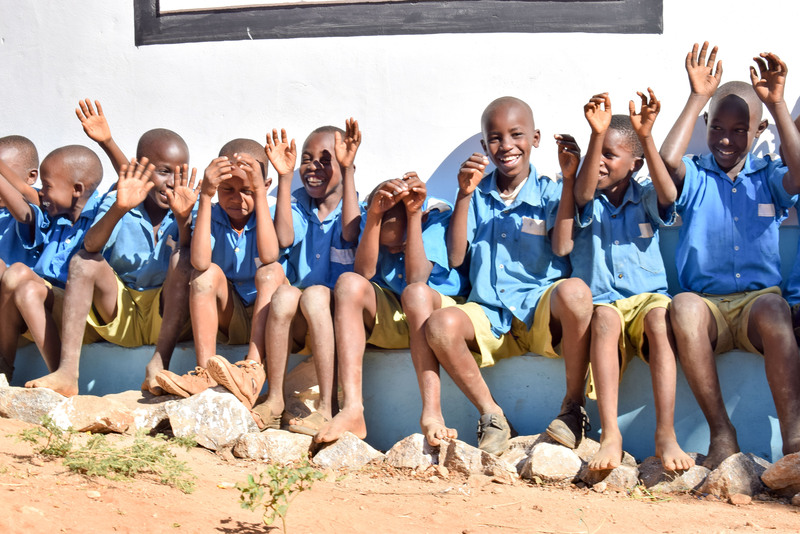 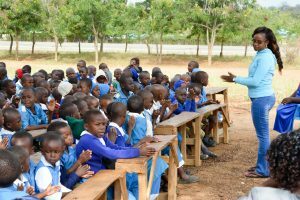 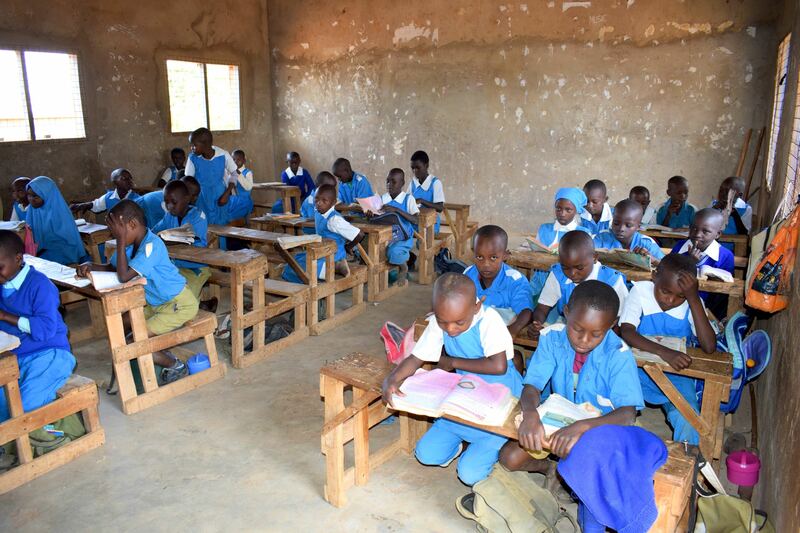 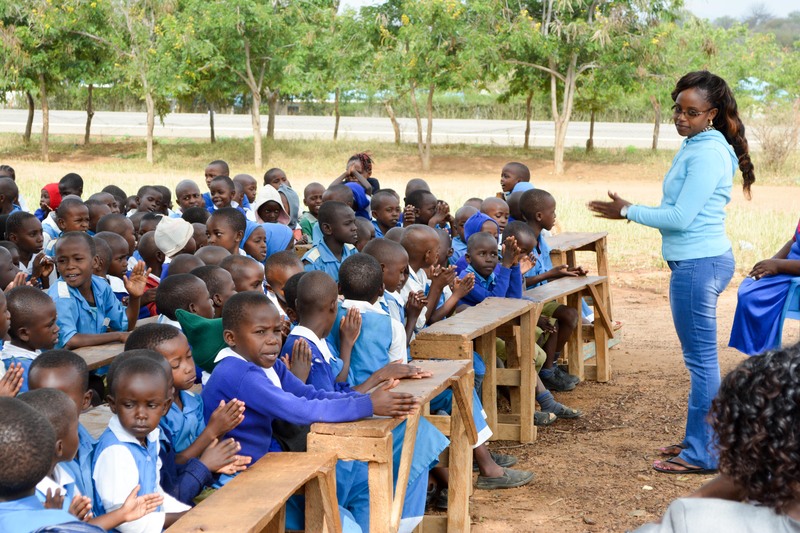 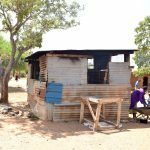 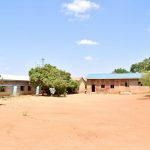 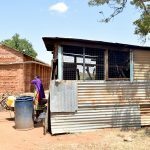 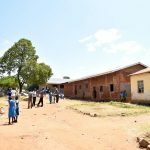 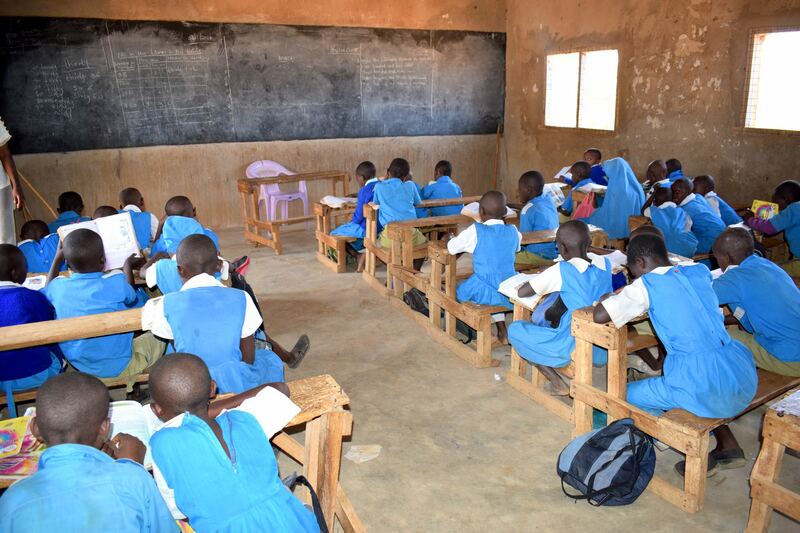 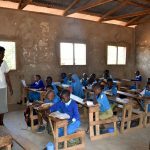 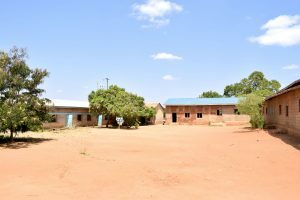 “The school has a fair level of hygiene and sanitation which can be improved through access to clean water and availability of handwashing stations and the construction of a good kitchen,” Headteacher Muinde said. 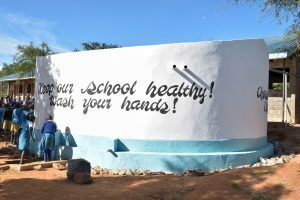 Students and staff will be trained on hygiene and sanitation. 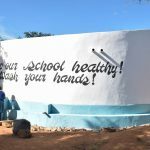 Those in attendance will form a school health club that will promote good hygiene and sanitation practices both at school and at home. 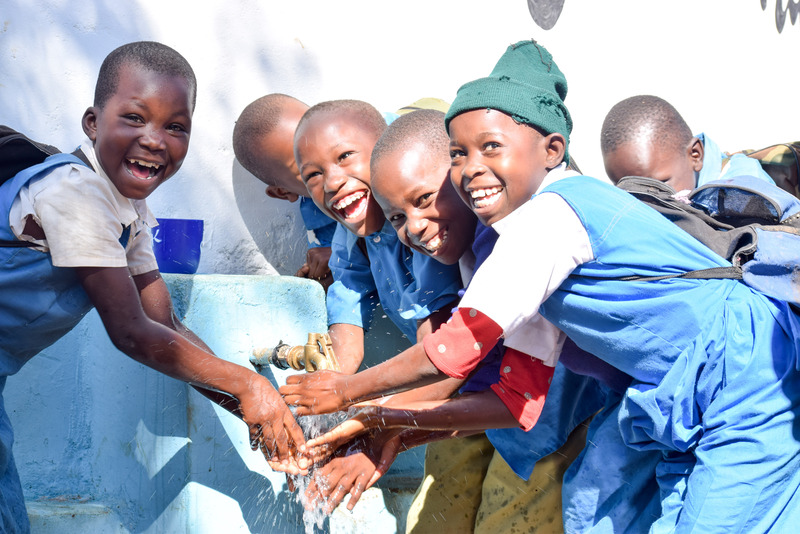 They will learn all the steps of proper hand-washing, how to treat water, and how to keep their environment clean. 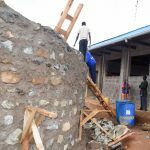 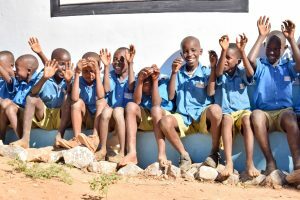 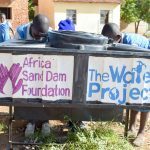 The school will also be taught how to best oversee and maintain their new rainwater catchment tank and handwashing stations. Three handwashing stations will be delivered at the project’s completion. 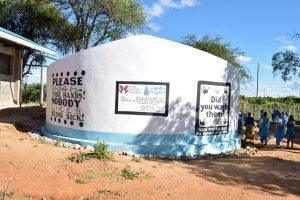 These are 1,000-liter plastic tanks fitted with four taps. 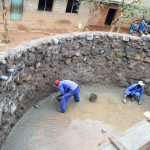 The health club and school management will be responsible for making sure tanks are filled with water and that a cleaning agent such as soap or ash is available. We will build a 104,000-liter rainwater catchment tank for this school. 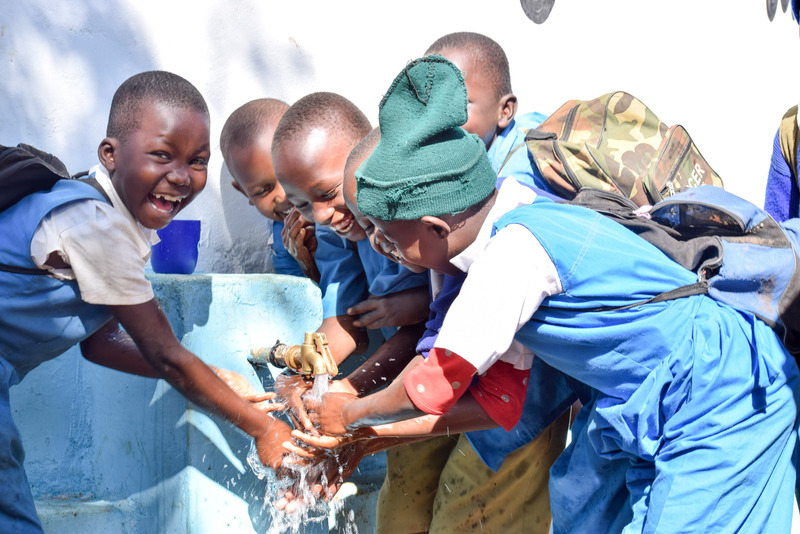 Its clean water will benefit the students, teachers, and supplementary staff. 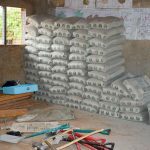 Parents will mobilize the materials needed for construction, such as sand and stone and also lend some strong arms to help with the actual construction. As soon as the tank has time to cure, it can begin to collect rainwater for drinking, cooking, and cleaning! 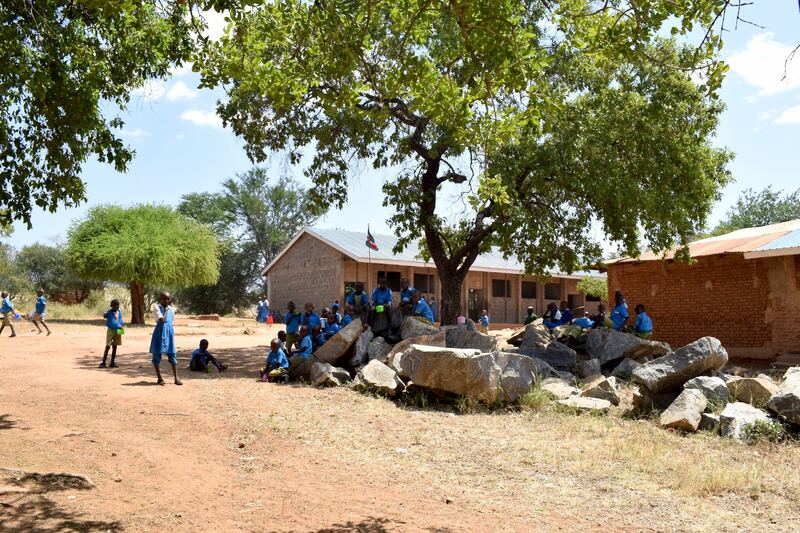 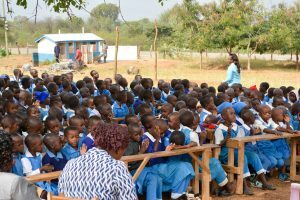 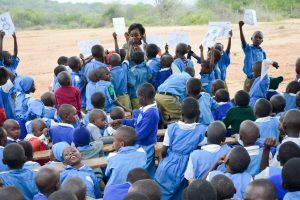 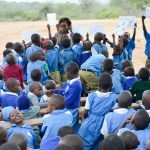 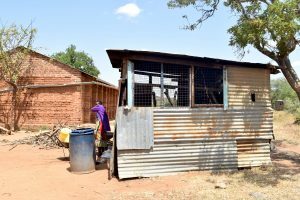 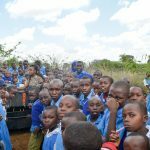 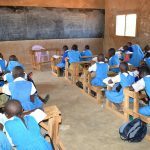 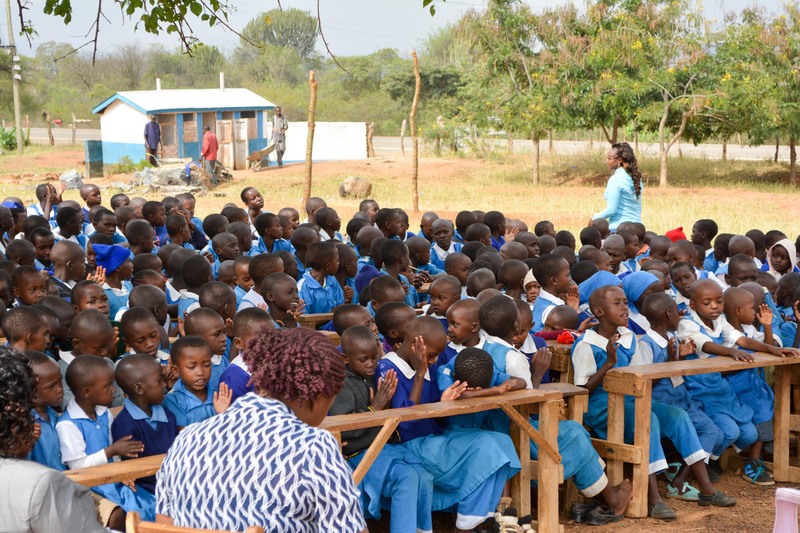 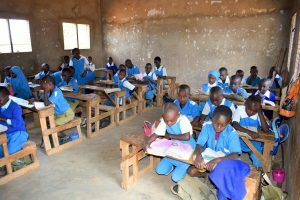 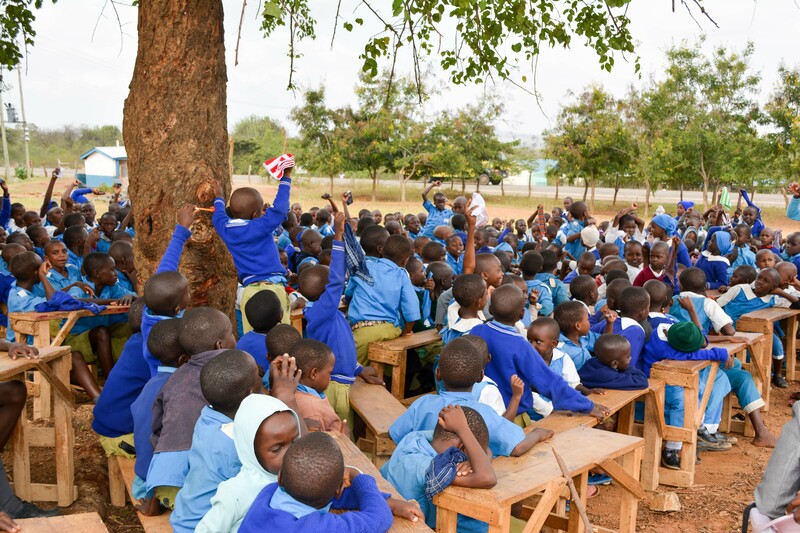 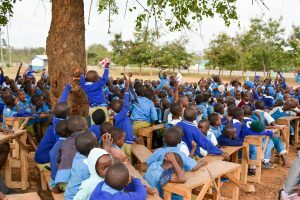 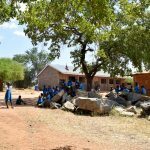 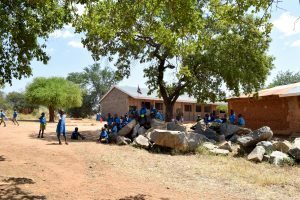 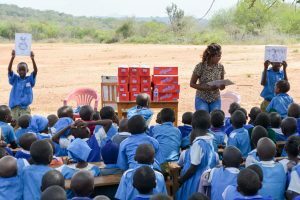 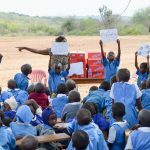 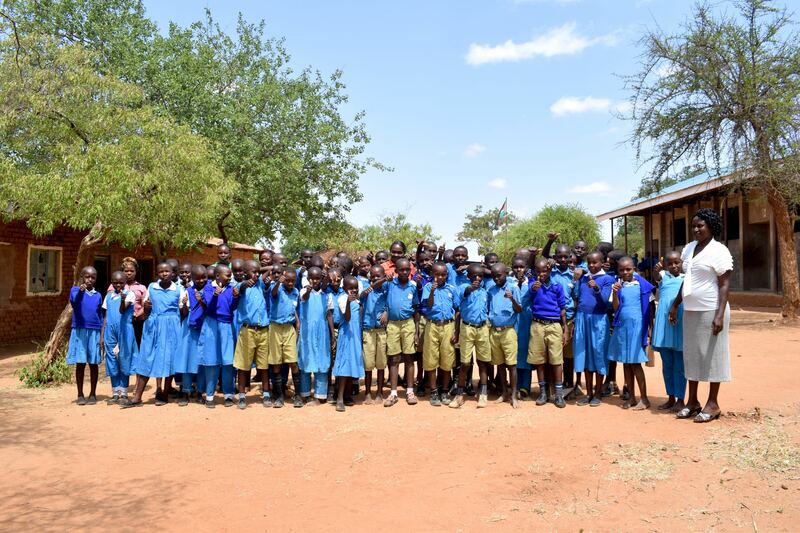 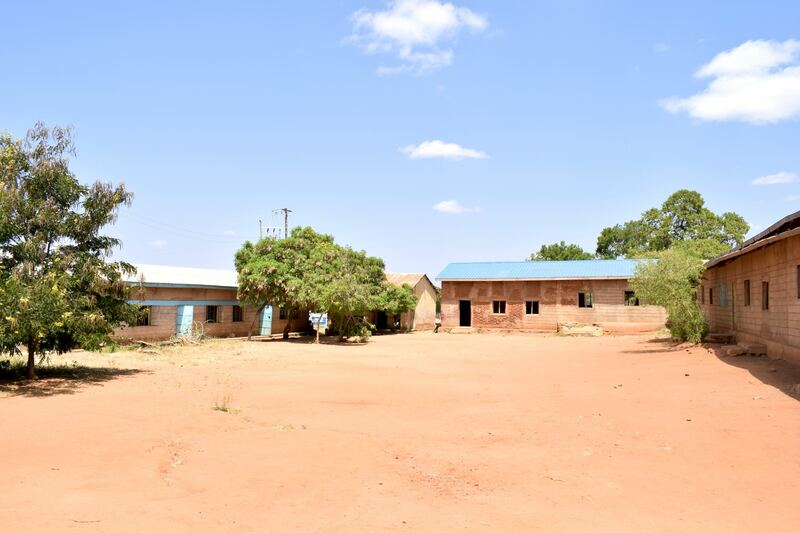 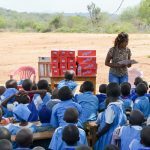 104,000 liters of water will keep students and staff in class to keep focusing on learning – it will outlast the dry months that don’t bring rainfall to Kitui County, Kenya. 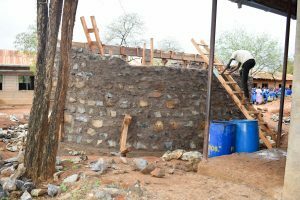 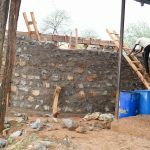 A new rainwater catchment system was built! 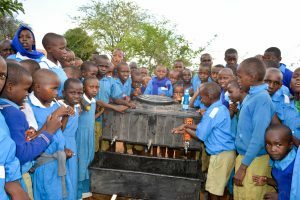 Kyulungwa Primary School in Kenya now has a new source of safe, clean water thanks to your support. 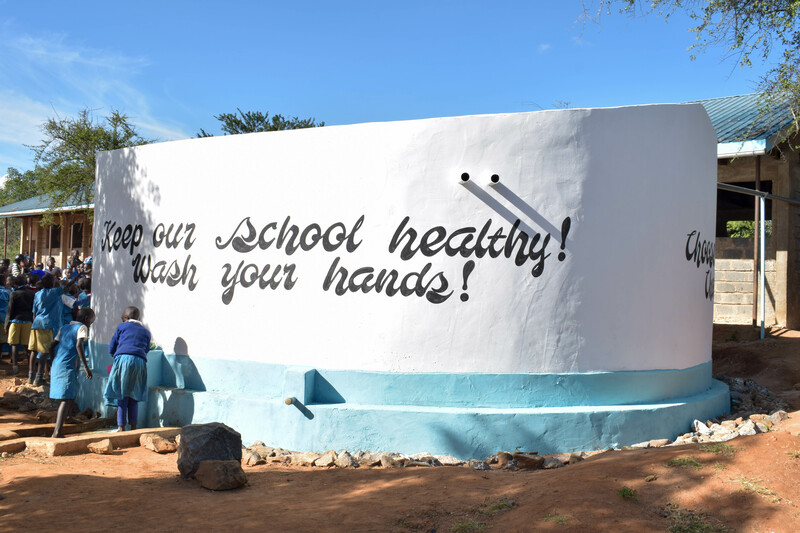 Handwashing stations were installed, and students and staff have received training in sanitation and hygiene. 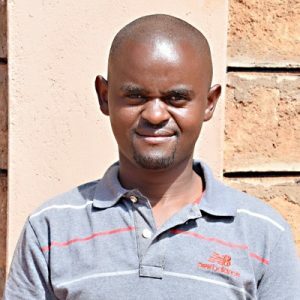 The training was organized by Patrick Musyoka, who is the field officer responsible for groups in this area. He reached out to the school headteacher who then organized the students and teachers. 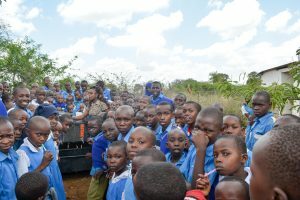 All enrolled students and their teachers were in attendance, so we only had room to meet outside. 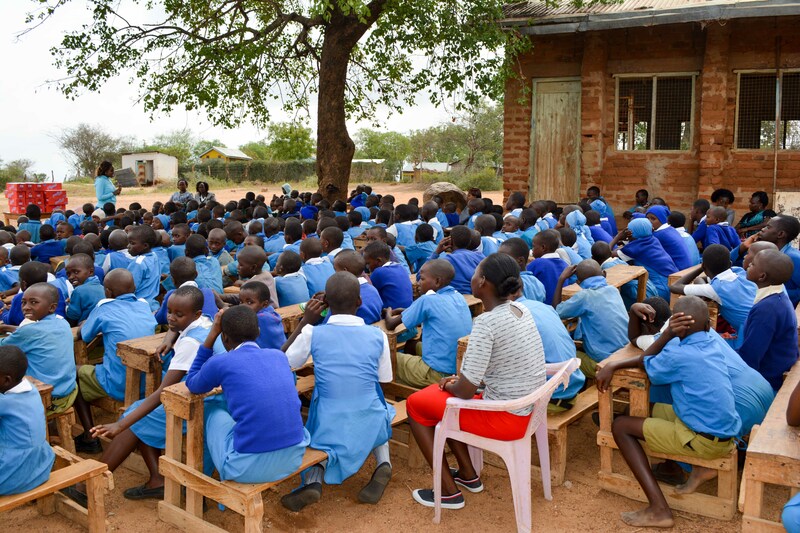 Students brought the chairs out from their classrooms. The older students seemed to connect more with what was being taught throughout training, taking a lot of notes on each topic. 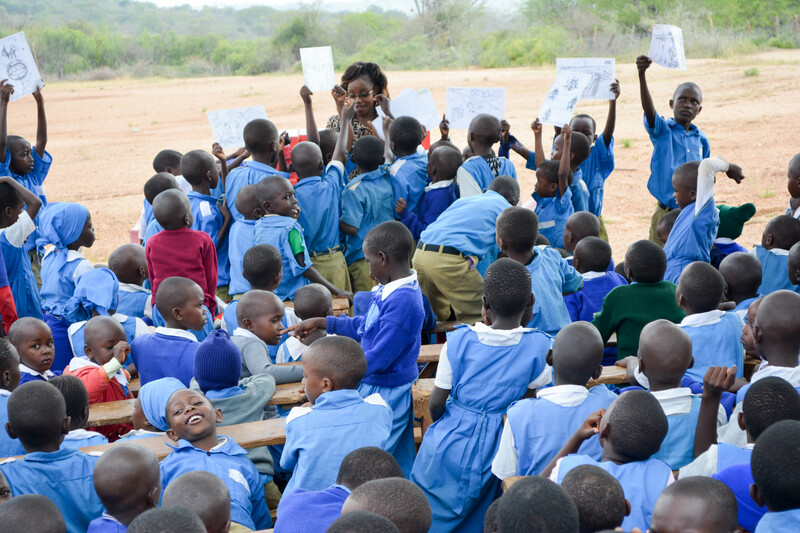 When it came to hands-on activities, the younger students were way more excited. There was a bit of a competition about who would hold the good and bad hygiene practices next. 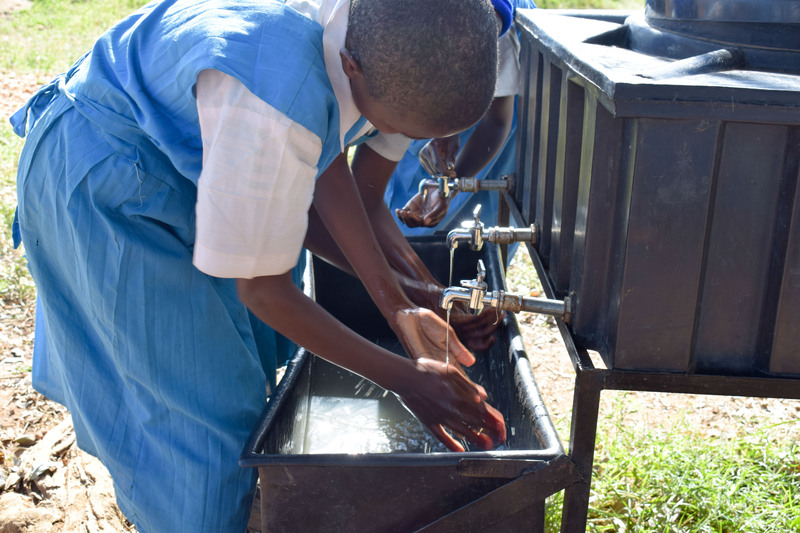 Students enjoyed handwashing and making soap the most. 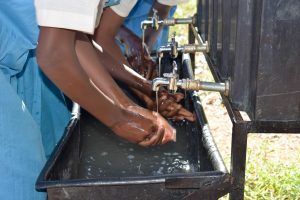 As students watched demonstrations and learned that there are actually multiple steps to handwashing, they admitted they’d never known handwashing was so important. 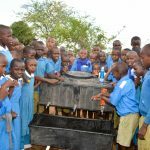 They also loved making soap and believe that they can save money by making it each term for the school’s use. 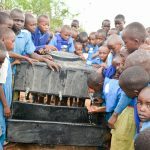 They were surprised that they could make soap of such high quality. 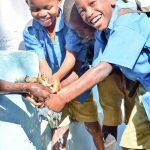 This little girl is making sure he does a good job mixing the soap! 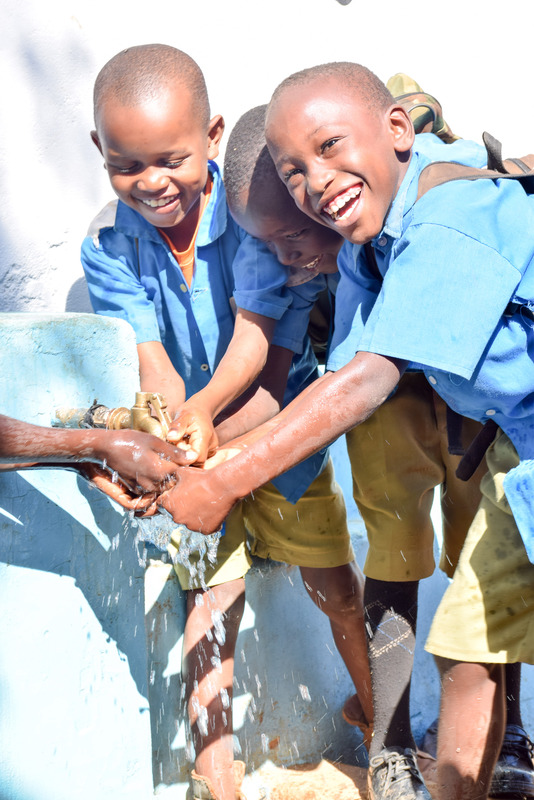 “Now we have enough knowledge on our personal hygiene. 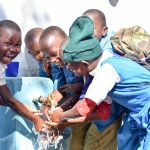 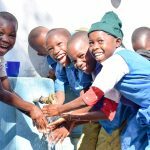 We will improve on our habits of handwashing because we were brought handwashing stations that we promise to keep filled with water and make use of them,” 9-year-old Fredrick Ndambuki said. 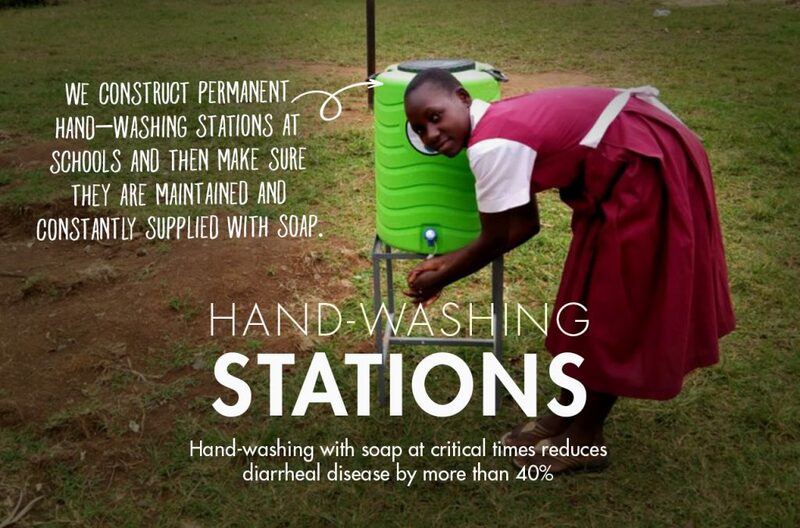 Two large handwashing stations were delivered to the school in time for training. 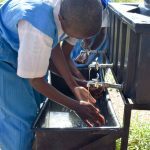 Each of these has three taps, which allows at least six students to wash their hands at one time. 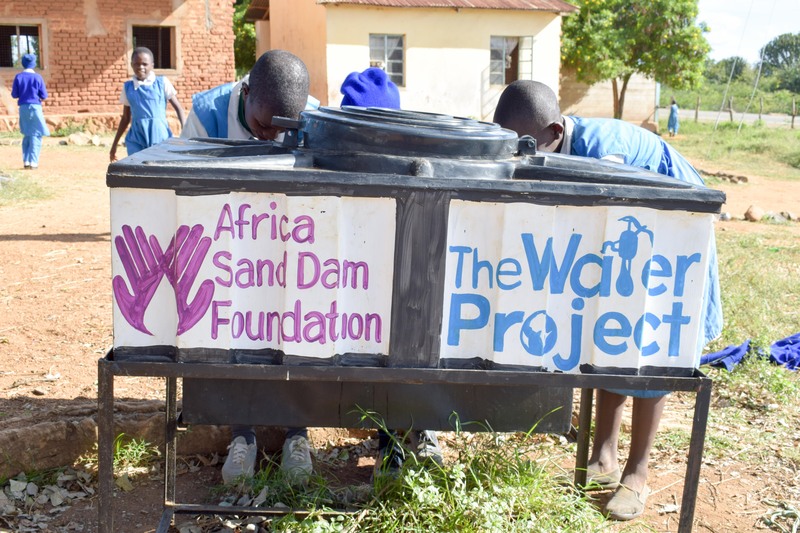 Handwashing stations were delivered in time for training. Kyulungwa Primary School is affiliated with the Kathilo Earth Dam Self-Help Group, since many of its members’ children attend here. 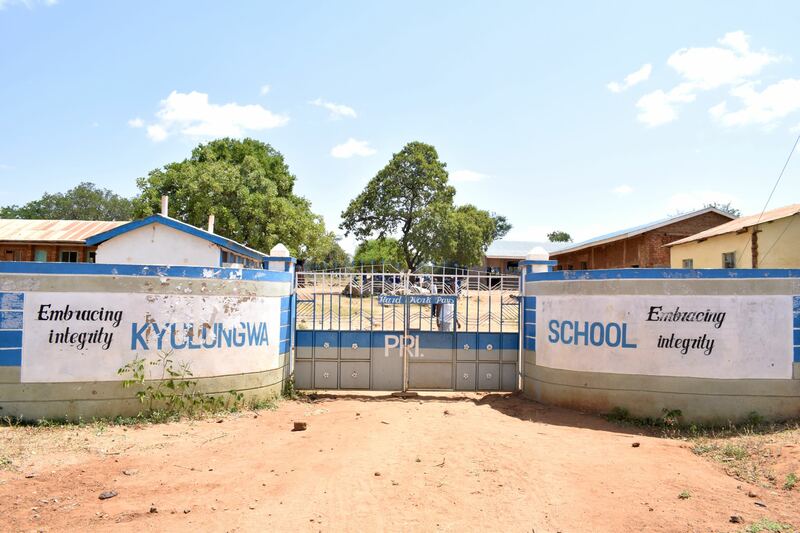 These parents and the school administration approached the self-help group committee and requested their help in alleviating the water shortage at the school. 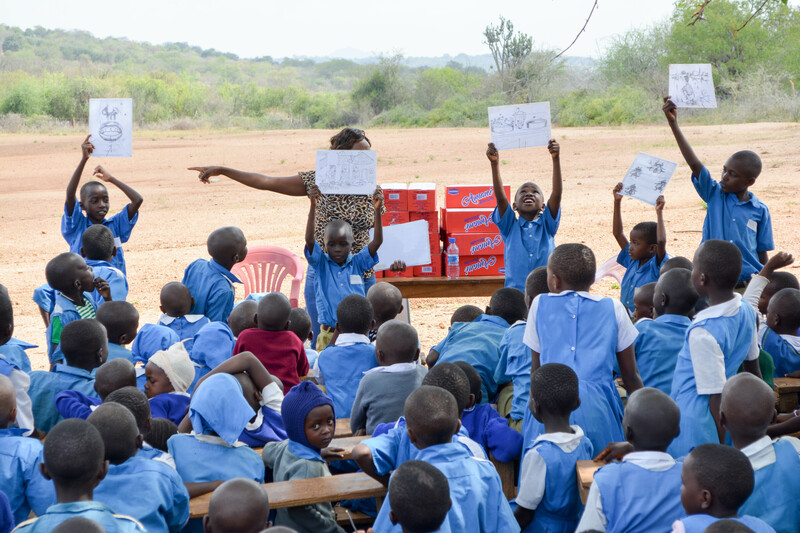 A meeting with all of the parents and the headteacher was then held to plan out the project. 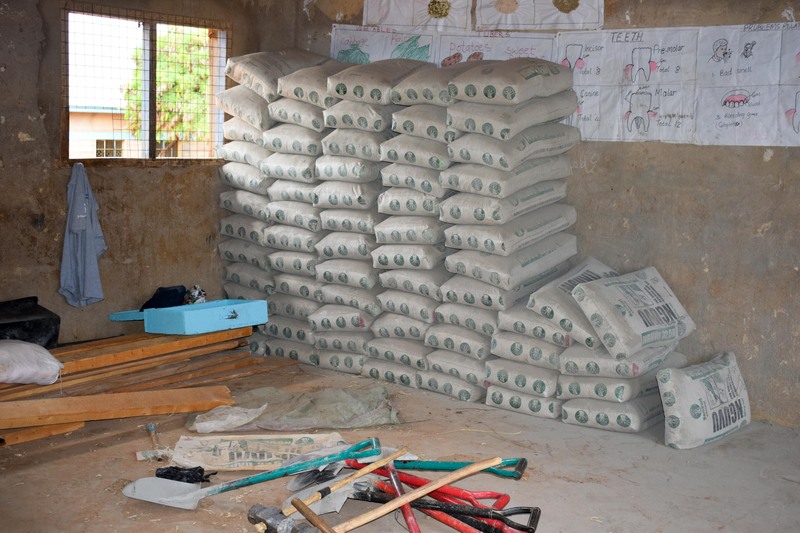 Parents agreed to collect construction materials like sand, rocks, and water. 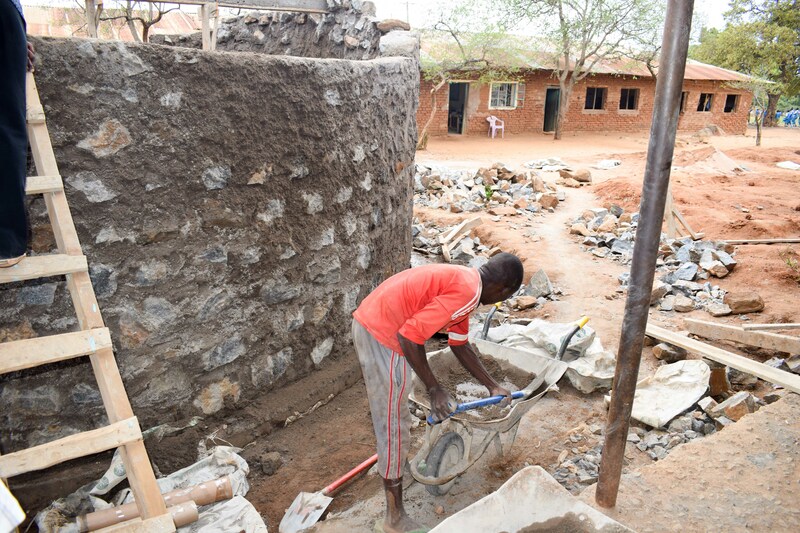 They also worked hard alongside our artisans. Bags of cement delivered for constructing the tank. 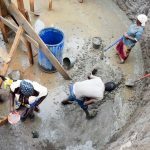 A reinforced concrete column is built right up to the center of the tank, which holds up the roof and prevents it from caving in. The walls are then plastered both internally and externally with waterproof cement. 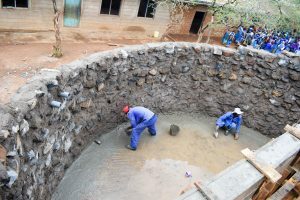 After that, several feet of guttering is installed and channeled into the tank. 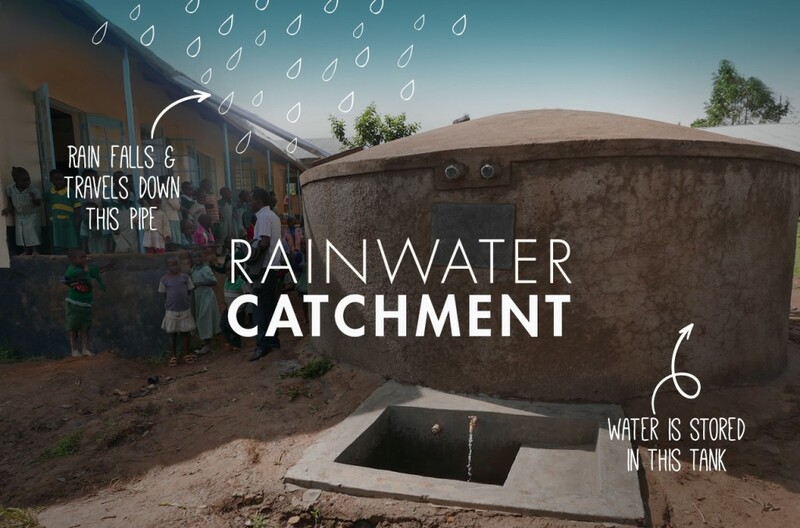 Once the tank has cured (dried) sufficiently, it can begin to collect rainwater. We met students at the tank to celebrate the first moments of water flowing from the tap. 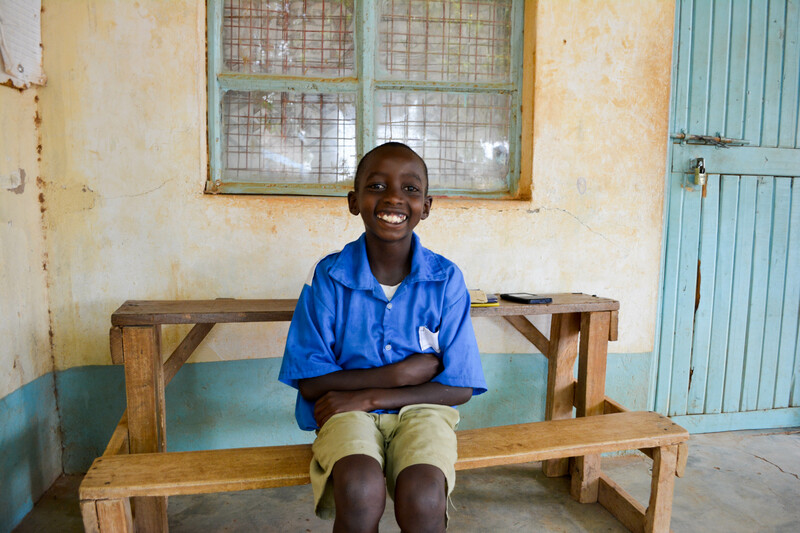 Fredrick was there with his classmates. “We will not be getting sick as often because now we have enough clean water!” he exclaimed. 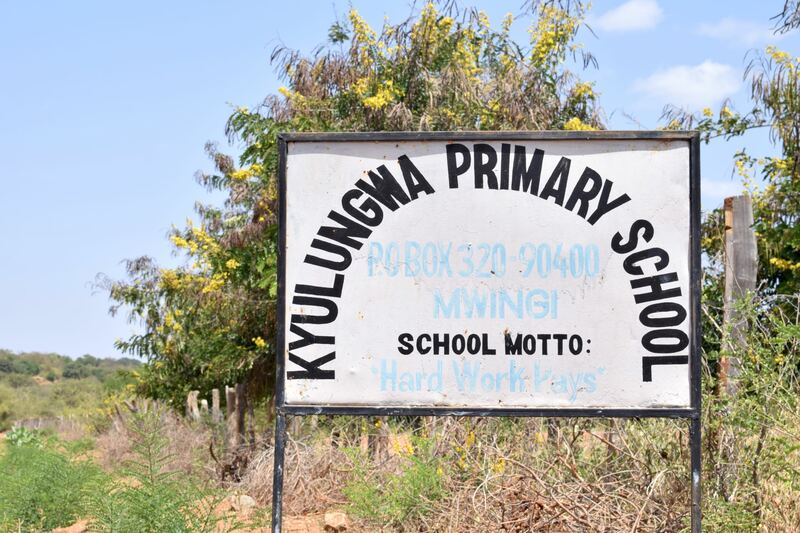 We are excited to report that things are really coming along at Kyulungwa Primary School. 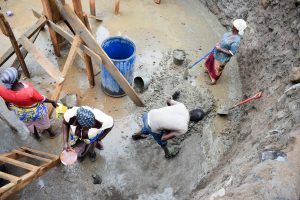 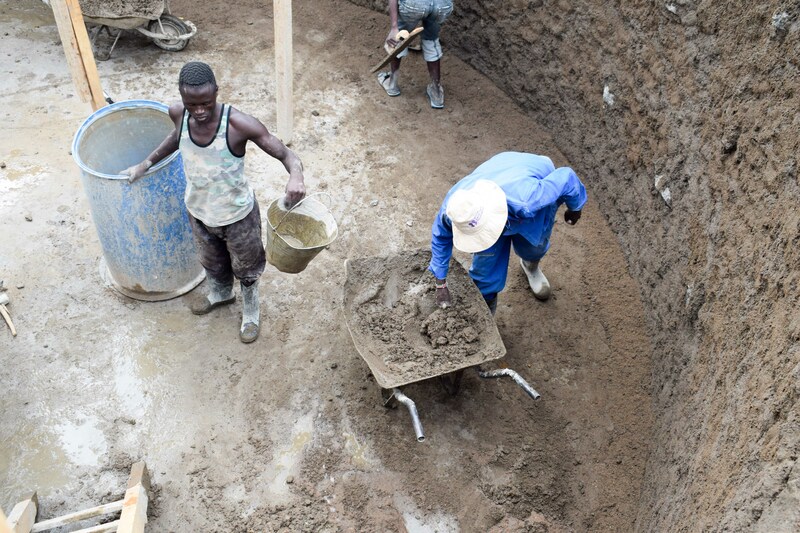 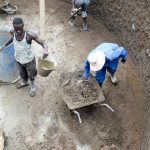 Artisans have been working hard on a huge rainwater catchment tank that will provide clean water year round. 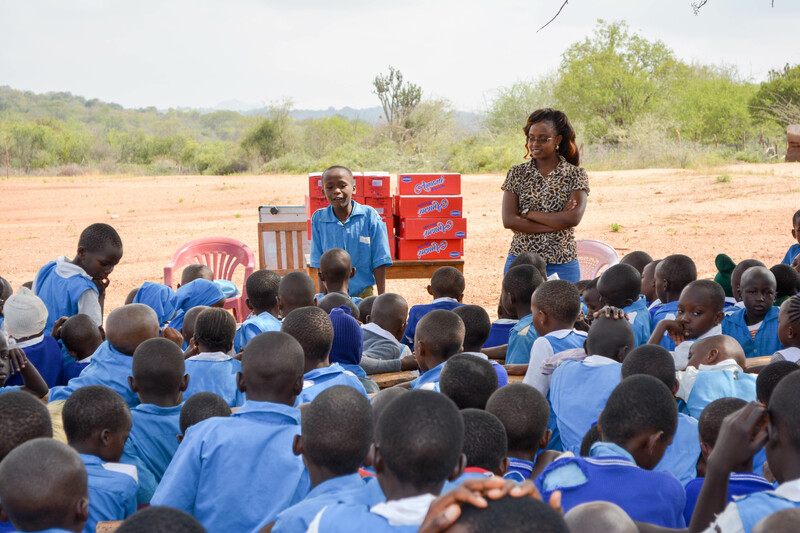 We also look forward to sharing more about the hygiene and sanitation training attended by the entire student body and their teachers. 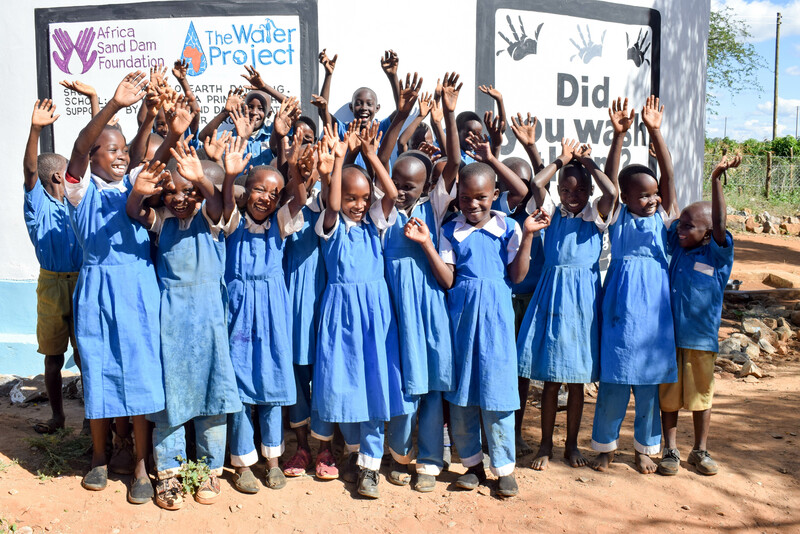 We expect to reach out again within the next few weeks with news of clean water!